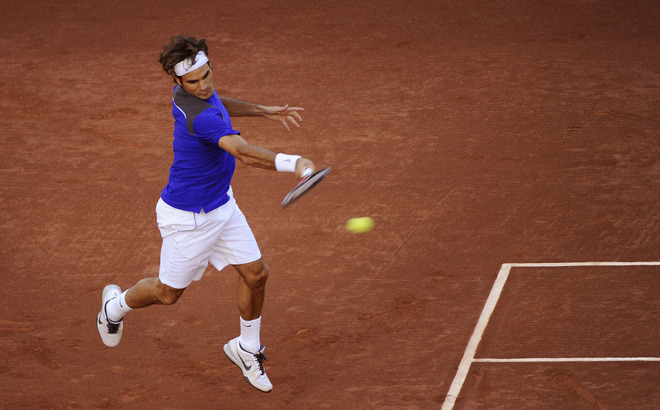 It went the distance and was quite a thriller but Roger Federer advances to the third round at the 2011 Madrid Masters with a 7-6 (13) 6-7 (1) 7-6 (7) win over Feliciano Lopez, coming back from 5-2 down in the third set tiebreak (and saving a match point) in front of packed house in a three hour match. The thunderous “cmon!” from Roger late in the final tiebreak signalled that he was not done and in minutes turned the match to his favor. Lopez was playing very loose and forced Roger to come up with some amazing forehand winners with exquisite timing to get thru in the long first set tiebreak. 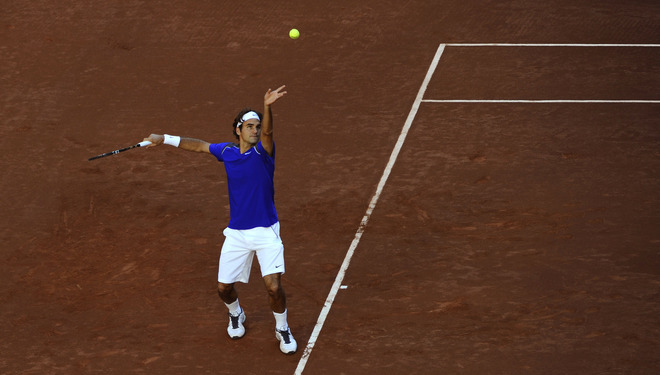 Federer needed nine set points before converting to win the first set. Lopez stayed even and fired back with three winners to open the second set tiebreak, eventually cruising to force a third set. He continued to play high risk tennis throughout but Roger found a way and is thru to the next round, where he will face the X-Man, Xavier Malisse. Quite a few big names were in the crowd today as well, including soccer superstar Cristiano Ronaldo sitting in the front row.